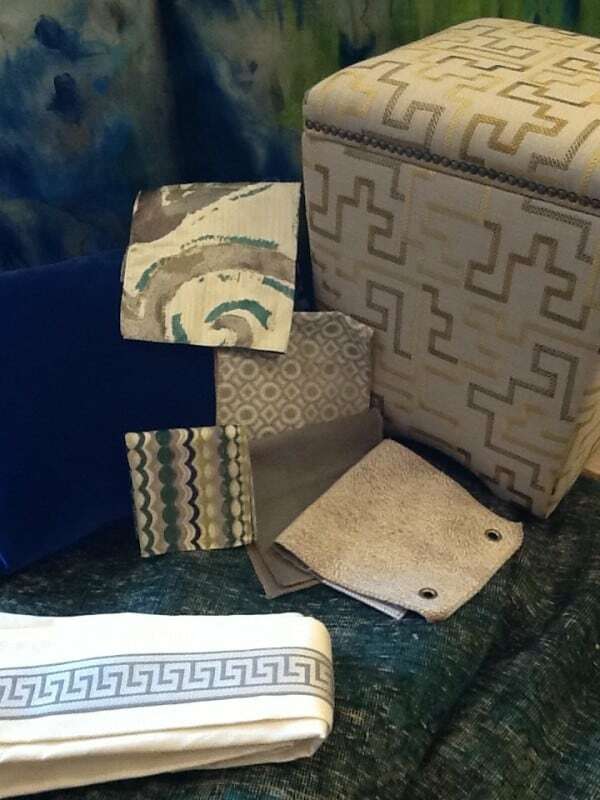 A sneak peek of the Nandina Showcase Home! The next couple of weeks are going to be crazy busy for both the Atlanta and Aiken Nandina Design Teams. April 25th -27th Nandina will have featured showcase homes in Aiken and Atlanta! In Aiken we have had the great fortune to work on our showcase home from the ground up. The design build process allows us to work with the builder for all selections including cabinetry, tile, moldings and paint colors just to name a few. Creating a model for a Showcase at first blush would appear to be a license for all out creativity with no purse strings attached. In reality, our model process mirrored the day-to-day process of any new home build or renovation. Budget constraints, deadlines, color and surface mistakes, delays, disasters and creative conflicts are just as much a part of the “model” process as the “real” process. Our design team started out just like we always do with our clients – looking for inspiration! We often pull together inspiration or mood boards like the one below. We were all in agreement that a canvas of soft neutral grays and splashes of jewel tones like emerald, amethyst, peacock, citron, and orchid would be our design direction. Ceiling and molding designs along with cabinetry, fireplace walls, tile layouts and surface choices were much easier to make once that initial design course had been chosen. During the construction phase we were often asked to sketch concepts like the fireplace wall design below expertly rendered by Maria Rhinehart – one of the lead designers on our team. The entry, main great room and kitchen were the responsibility of Sue Shannon and myself (Susan Victor), the study was assigned to Maria Rhinehart, front guest room to Aimee Rusch and Master Bedroom to Michelle Merrit. One of our major sources of inspiration for our great room area was a unique overdyed hand knotted rug in a rich emerald green from Nomadic Trading Company (look for an upcoming blog that features some incredible rugs by this company). We loved the idea of grey and emerald as the anchor for this space that would also tie the entire lower level together. Below is an inspiration photo from Pinterest – although our final product is much more colorful than this. The great room floor plan came together fairly quickly, and choosing the appropriate frame styles was dictated by the architectural style of the house. Everything is in and we are beginning to install drapery and furniture this week! Here is a sneak peak of what treasures you will see in the great room. Just think, this is only one room. I wish you could see what Maria, Michelle, and Aimee have done with their rooms. Oh wait! You can see, when you visit the Woodside Festival of Homes – April 25-27th. We have tickets for sale ($10 in advance*, $15 at the door) at our Aiken Nandina location. See you soon! *Cash or check only, please.